Prt. James Allender, formerly of the 1st Battalion of the Duke of Wellington’s Regiment, served with No.1 (later renamed No.101) Troop of No.6 Commando from its formation in 1940 (in Scarborough) until, at least, 13th March 1942. Prt. James Allender was awarded the Military Medal during his time as a Private in the British Expeditionary Force (BEF) during the French campaign on 21st May 1940 when he and Prt. William Stead volunteered, under bombardment in the Pont a Chin area, to mend the field telephone lines and restore communications. 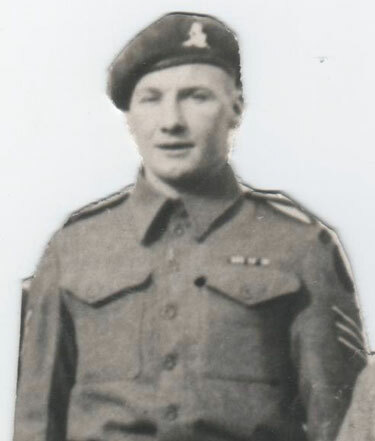 Later promoted to Sergeant, on 26th September 1943 he was awarded a Bar to his Military Medal. 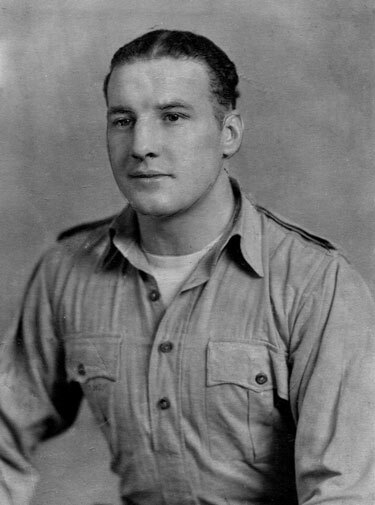 Whilst hospitalised from his wounds, Sgt James Allender eventually returned to No.1 Troop of No.6 Commando and was serving with them until wounded in Normandy on 10th June 1944. Picture taken of Prt. 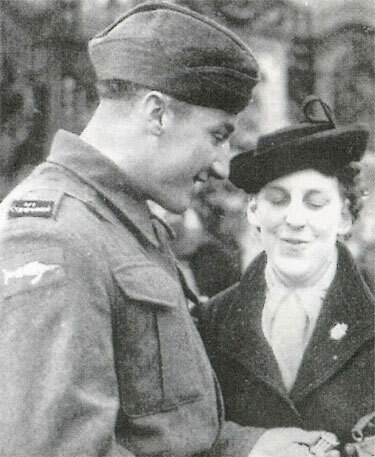 James Allender and his wife receiving his Military Medal in 1941. The picture is thought to have been taken pre D-Day 1944.